Vector collection of skull illustrations. Scary and cool designs for all your Halloween projects. 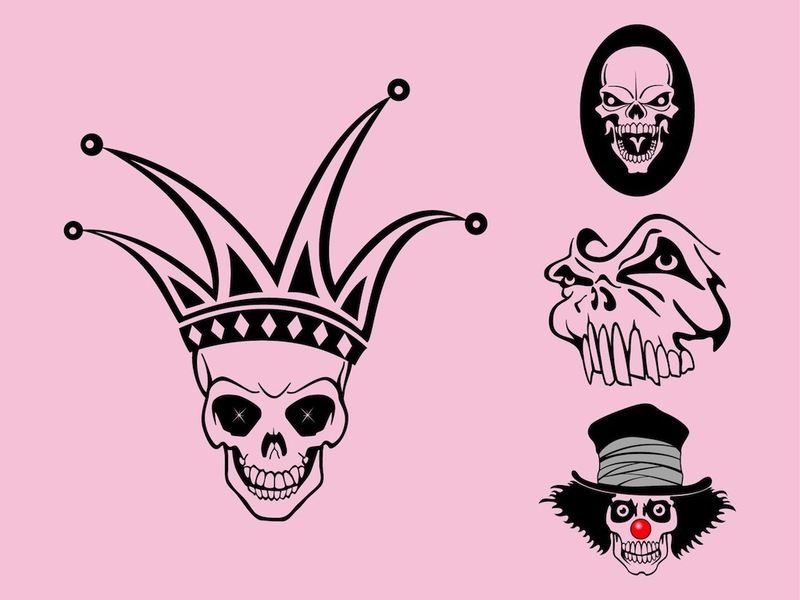 Smiling skull with shiny eyes and a fool hat, clown skull with shiny round nose and deep shadows around the eyes, skull with extremely long teeth and a skull logo template shaped like an ellipse. Tags: Dead, Halloween, Icons, Scary, Skulls, Stickers, Tattoos.